Chlamydia trachomatis is considered as a public health problem due to its high prevalence and increased rates of gynecological disorders. 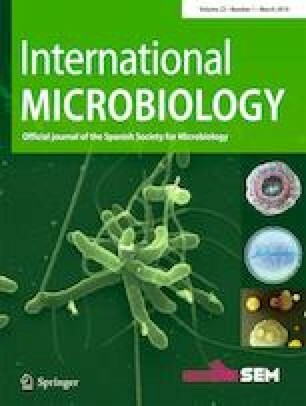 The major outer membrane protein (MOMP) of this bacterium is the most abundant protein in its membrane and has been evaluated not only as a vaccine development candidate but also is used in many diagnostic tests. The MOMP weighs 69 kDa and contains four variable segments (VS 1–4) separated by constant regions. Several research groups have developed recombinant single-variable segments of MOMP expressed in Escherichia coli cytoplasm. But, all variable segments have been used minimally for the diagnosis of a chlamydial infection. In this experiment, the authors obtained the recombinant MOMP of C. trachomatis (rMOMP) in E. coli rMOMP and extracted, purified, and partially characterized it. This was later used to identify anti-Chlamydia trachomatis antibodies in sera of infertile patients by immunodetection assays, enzyme-linked immunosorbent assay (ELISA), and indirect immunofluorescence tests. The ELISA test showed high sensitivity and low specificity of 100 and 58.3%, respectively. The above results obtained were linked to the cross-reactivity of antibodies against C. pneumoniae or C. psittaci. Hence, an evaluation was performed to obtain an optimized test for the diagnosis of C. trachomatis infection. The authors have seen and approved the manuscript being submitted. All procedures performed in studies involving human participants were in accordance with the ethical standards of the institutional and/or national research committee and with the 1964 Helsinki Declaration and its later amendments or comparable ethical standards. Furthermore, Informed consent was obtained from all individual participants involved in the study.